A perfectly healthy body and mind, both functioning at their optimal capacity, free of sickness, disease and rid of stress. This is the promise of Yoga, the ancient Indian physical, mental and spiritual practice with the origins dating back to the 5th or 6th century BC. It is a science that can be practiced by a human being at any stage of life. In this practices that teaches you to master the body, mind and soul and live a life of harmony and peace, health is not just a mere absence of disease, but a positive feeling of well-being in the mind, the body and the soul. It addresses ways of integrating the body, senses, life force, the mind and the consciousness. At AyurVAID Kalmatia, we offer you a complete body and mind experience aimed at improving your health and total well-being. Our program is a step beyond the physical exercise, imparted through a highly experienced resident yoga master, blending the Himalayan and Kerala Yoga traditions. You will discover the potential of your body and mind, during the program which will guide you through the basic concepts of breathing and its effect on the body. Lectures, video shows on health, spirituality, culture, etc. Yoga Daily Life – Minimum 1 week. 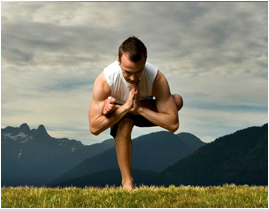 Yoga Healing – 3 to 4 weeks (As per regime prescribed on evaluation by Ayurveda Doctor).